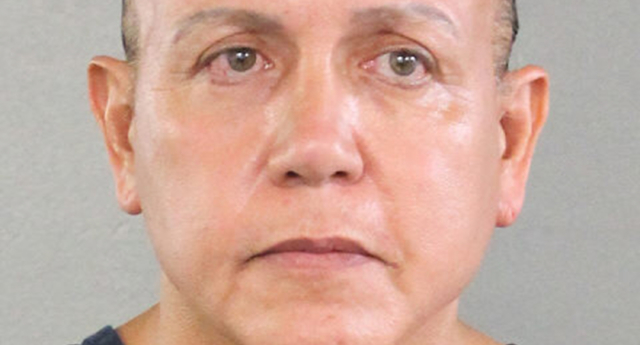 Pipe bomb terror suspect Cesar Sayoc was reported to police for throwing urine at a lesbian couple months before the suspected bomb plot. 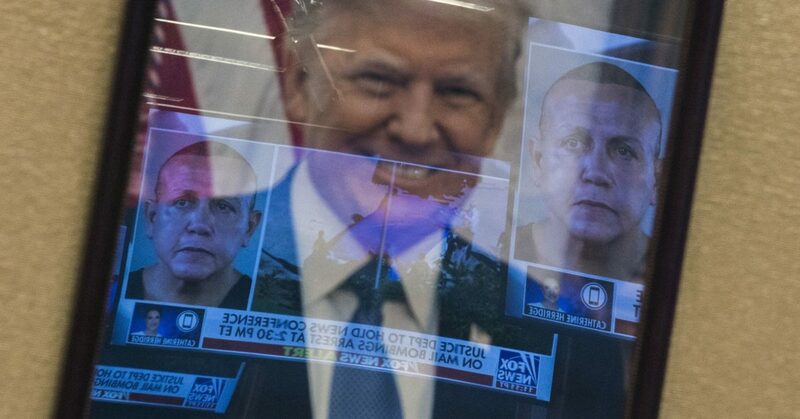 Cesar Sayoc of Florida, faces 30 terror-related charges in federal court related to domestic terrorism. after a spate of attempted mail bombings targeted at major Democratic figures in the US in October. Sayoc was arrested on October 26 on suspicion of sending 14 explosive devices to prominent Democrats including former President Barack Obama and former Secretary of State Hillary Clinton—as well as individuals and organisations that President Donald Trump and his supporters have often criticised, including philanthropist George Soros and CNN. This week, it emerged that a man matching the description of Sayoc was reported to police months earlier over a road rage incident. The Miami Herald reports that lesbian couple Indiana Parra and Rimbow Gomez were riding a moped together on March 16 when they allegedly had urine thrown at them by a man driving a white Dodge Ram van covered in extreme political stickers. The van driven by pipe bomb terror suspect Cesar Sayoc. The two women explained that when they pulled away, the man chased them in his van, swerving in an apparent attempt to run them off the road. Parra and Gomez reported the incident to police, supplying licence plate details that matched Sayoc’s vehicle as well as a description of both the suspect and the van. DNA was also collected from the urine from Gomez’s clothing. The van driven by Sayoc was found by police when he was arrested over the pipe bomb plot. It was coated in pro-Trump imagery, including several pictures of his targets with crosshairs over them. Sayoc, a Florida resident, worked part-time as a pizza delivery man at the New River Pizza & Fresh Kitchen in Fort Lauderdale, under the management of self-described “proud lesbian” Debra Gureghian. Gureghian told the Miami Herald previously: “He was anti-gay, anti-black, anti-Jewish—you name it. Everybody who wasn’t white or wasn’t a white supremacist didn’t belong in the world. That what he used to say to me all the time. Sayoc could face up to 48 years in prison if convicted over the pipe bomb plot.